Hey there. Looking for a used Nissan auto engine at a great price? That's understandable. With your Nissan in the shop, you're short of time. Maybe you're short in temper, too. Who wouldn't be with a disjointed travel routine from a stalled vehicle? Getting to work, kicking ball with the family at a park, and running errands is unpleasant while your car is down. Yet, saving thousands of dollars by buying a used auto engine is smart. But how do you which is a reliable engine from among those Used Nissan Engines for Sale! headlines? How do you go about ensuring the one you buy is a let's-forget-we-ever-had-a-problem type auto engine? Actually, you don't. 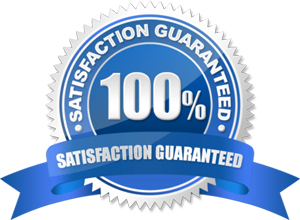 We do with a 100% money-back guarantee. Never EVER buy a used engine without a guarantee. That's in addition to warranty. Okay? We offer FREE fast shipping. Average shipping time in the US is about three days. After engine installation, you'll probably be rolling again in under two weeks. Does that sound doable? It all starts with a FREE quote and 2 minutes of your time. But don't worry. Ordering is safe and secure. • Low Prices on Rebuilt Nissan Engines or Remanufactured Nissan Engines, too. Our used auto engines are affordable. Seriously, because we manage well. Diligence saves time and money for everyone. Management perfected after thirty years, we are used auto engine gurus. We've been welding relationships with like-minded gurus in the auto engine multiverse. The result is steeply discounted prices on high quality used or refurbished Nissan engines that only we have access to. When we started out, we simply didn't have time to work with broken promises, questionable resources and, you know ... those who are always late to show up for work. Big nope. What's remained is great. Great engines. Great prices. Great gurus. Some quietly consider us the top dedicated provider of used and rebuilt engines to individuals. Well. We just know our engines are out there ... somewhere … humming while the driver forgot-they-ever-had-a-problem. Service is one-to-one. No phone tag. No email fillers. You're buying direct from the used engine dealer that also provides complimentary retail services. Our personal guarantee applies to used engines on sale above the warranties. There's not much for you to do but expect us to follow through. Grab your VIN. Slip into a comfy chair with the phone speaker on. Prop your feet up and tell us all about this difficult time you're experiencing, but leave the auto engine expertise to us. Later, you can brag about how smart you were to get the best price on a used engine with barely any miles on it at all. So, Where was your Nissan Auto Engine Manufactured? If you've been clutching the steering wheel of a younger Nissan vehicle, your engine was probably built at the Decherd engine manufacturing plant. 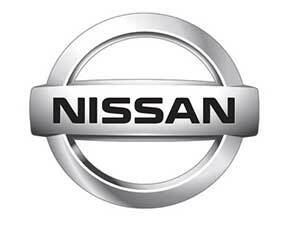 Nissan isn't a majority stake in its own business. The French auto manufacturer, Renault, calls most the shots. Remember seeing the French-styled early Datsun sports vehicles? These were the beginning of the happy Nissan-Renault marriage. Now, these two stand as the fourth largest global automaker beneath the monikers of Nissan, Datsun, Infiniti and NISMO. Over the years they've also formed temporary engagements to major US auto makers. There have been some impressive cubic centimeters carved out with these extramarital auto affairs. This location added passenger vehicles like the Nissan Altima, Nissan Maxima, Xterra and, more recently, the electric vehicles. Their compact and subcompact vehicles, like the Nissan Sentra, are usually assembled at the Cuernavaca plant. Assembly and production of Nissan brand vehicles is shared between its later-constructed Mississippi plant and the Smyrna location. Therefore, your engine was probably birthed in Decherd, Tennessee. But we'll check through your Nissan VIN. 2 minutes.